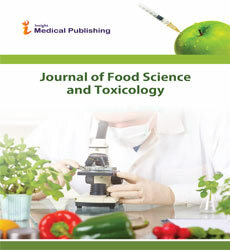 Journal of Food Science and Toxicology is a Scientific Journal that publishes innovative peer-reviewed Articles representing research advances and complete studies dealing with Global trends in food safety and technology, Food biotechnology, Food chemistry, Techniques for assessing potential toxicity, Food science, Food and chemical toxicology, Food engineering, Nutrition research and technology, Agricultural and food research, Product development and quality assurance, Food fortification, Novel methods in food safety, Innovative and emerging technologies, Food microbiology, Food contaminants, Diabetis control and environmental pollutants, Mechanisms underlying toxic phenomena etc. The Journal uses online review and Editorial Manager System for quality review process. Authors can submit their manuscripts and track their progress through Editorial Manager System. E-mail will be sent automatically to concerned persons when significant events occur. Review processing is executed by the editorial board members and reviewers of the Journal. At least two independent reviewers approval followed by editor's approval is required for acceptance of any citable manuscript. Journal of Food Science and Toxicology is an open access Journal which means it grants the readers a free access, without legal or technical barriers right of access the Articles. An essential role of open access is the long-term preservation of peer-reviewed scholarly journal articles and research data. Peer review is completed within 2-3 weeks ensures that once a paper has been accepted and edited, there is no lengthy wait for publication. It is therefore very rare to have to wait more than 4 weeks for a final decision. The Journal aims to publish the most reliable and complete source of information on the discoveries and current developments in the form of Research articles, Review articles, Case reports, Commentaries, Short communication, Meeting reports, Editorials, Short reports etc. Food processing is the transformation of raw ingredients, by physical or chemical means into food, or of food into other forms. Food processing combines raw food ingredients to produce marketable food products that can be easily prepared and served by the consumer. Food processing methods that are used to preserve foods include: •	Refrigeration and freezing. •	Canning. •	Irradiation. •	Dehydration. •	Freeze-drying. •	Pickling. •	Pasteurizing. •	Fermentation. Genetically engineered (GE) foods have had their DNA changed using genes from other plants or animals. Scientists take the gene for a desired trait in one plant or animal, and they insert that gene into a cell of another plant or animal. Genetic engineering can be done with plants, animals, or bacteria and other very small organisms. Genetic engineering allows scientists to move desired genes from one plant or animal into another. Genes can also be moved from an animal to a plant or vice versa. Another name for this is genetically modified organisms. This relatively new science allows DNA (genetic material) from one species to be transferred into another species, creating transgenic organisms with combinations of genes from plants, animals, bacteria, and even viral gene pools. The mixing of genes from different species that have never shared genes in the past is what makes GMOs and Genetically engineered crops so unique. It is impossible to create such transgenic organisms through traditional crossbreeding methods. These are some of the interesting names for small microorganisms that can cause big health problems when consumed in contaminated foods or beverages. The world of foodborne microbes contains a mix of approximately 250 different types of bacteria, viruses, parasites, molds, and algae that are known to cause disease in humans and are therefore called foodborne pathogens. What they all have in common is that they are most often too small to be seen without a microscope, they have simpler structures and functions than higher plants and animals, and they are able to be cultured in laboratory settings with prescribed methods that aid in their identification. Bacteria are the largest group of problematic foodborne pathogens by far. They are small, one-celled microbes that come in many shapes and are capable of reproducing themselves. Viruses are thought to be the leading cause of foodborne illness in the United States based on the percentage of people ill, even though there are only a few viruses that are important foodborne pathogens. Viruses are much smaller than bacteria and cannot live outside a host, such as an animal or the human body. the earliest methods of processing foods developed out of a direct need to assist people in surviving long winters. Because there was no chance to harvest fruits and vegetables in winter, it was important that people find a way to store enough food for the entire season. Drying and salting meats preserved it for months, as these methods removed or otherwise made unavailable the water needed by microorganisms that might spoil the food. Pickled vegetables and fruits could be stored for long periods, because the high acid content of the pickling solution killed off microorganisms. Apples packed in coal would not ripen as quickly. Smoking foods was another preservation method, because smoke contains chemicals with both antibacterial and antioxidant properties. Early societies also produced and used beer, wine, and other fermented drinks as a source of nutrients, such as the juice of grapes and other fruits or honey used to make wine, and the grains used to brew beer, as well as for their medicinal and antiseptic properties. Food science are include many disciplines such as biology, chemical engineering, and biochemistry in an attempt to better understand food processes and ultimately improve food products for the general public. As the stewards of the field, food scientists study the physical, microbiological, and chemical makeup of food. By applying their findings, they are responsible for developing the safe, nutritious foods and innovative packaging that line supermarket shelves everywhere. Food Science is the multidisciplinary study of food and the application of knowledge thus gained to the development of food products and processes, the preservation and storage of foods, and the assurance of food safety and quality. Food scientists are involved in all aspects of this process, from the point of animal and crop production to the time of food consumption. This includes developing new and improved foods, analyzing food for its nutritional value and safety, and researching better ways to preserve food.